The last Brussels Development Briefing on ‘Building resilience of SIDS through trade and agribusiness development’, was held on Friday 11 July 2014, at Borschette in Brussels. 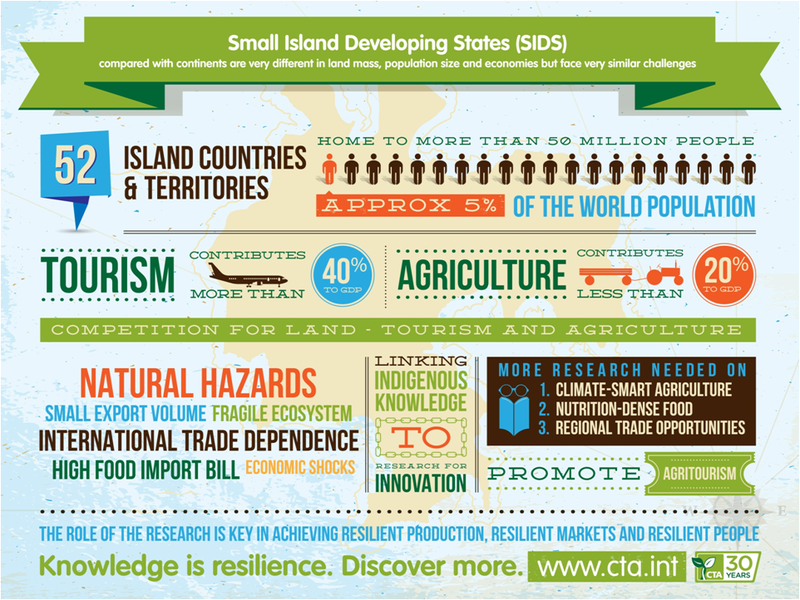 This 37th Briefing took place in the context of 2104 as the year of Small Island Developing States (SIDS) and the upcoming UN Conference on Small Island Developing States (1-4 September 2014, Apia, Samoa). In addition, below you can consult the presentations given at the event, by clicking on the word “presentation” corresponding to each individual panelist. You can also watch the video recordings of all the speeches by clicking on the word “video” corresponding to each individual panelist.